Just the evening, after some brief rain. 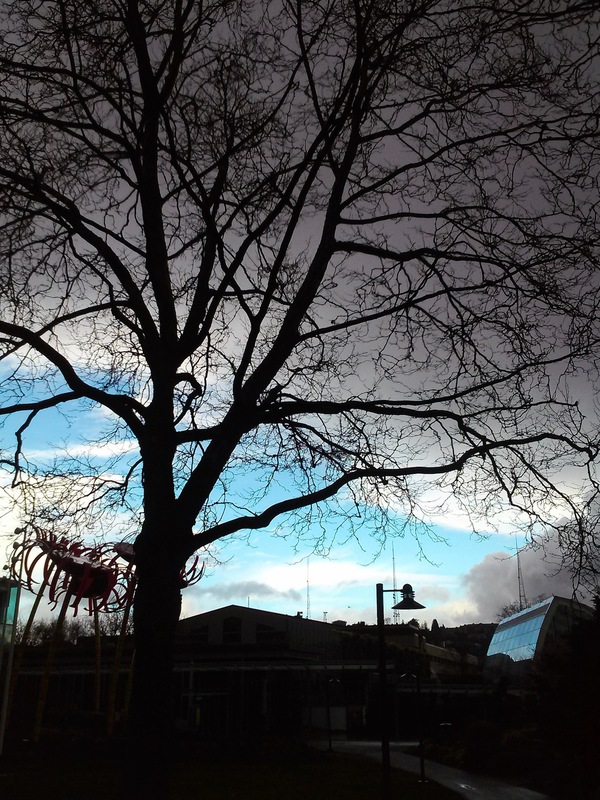 Walking to home, through the wonderful Seattle Center park..
And then, I look back. 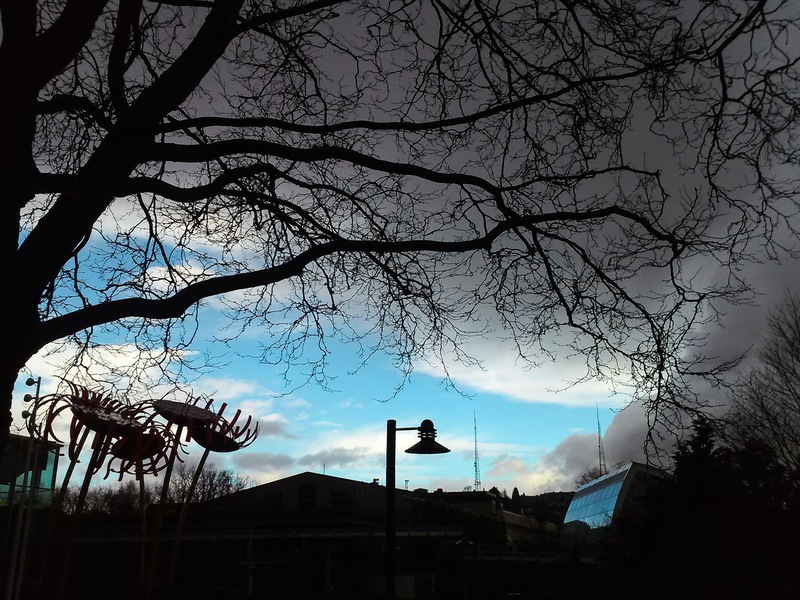 Posted on March 10, 2014 by Orion T.	This entry was posted in Photography, Travel and tagged beautiful, blue, blueandgrey, colors, grey, rain, seattlecenter, seatttle, trees. Bookmark the permalink.